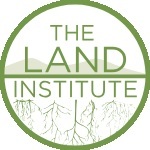 About The Land Institute, founded in 1976, is a nonprofit organization dedicated to developing perennial grains and increasing diversity in agroecosystems to transform agricultural from having a degenerative to a regenerative environmental impact. Located next to the Smoky Hill River outside of Salina, Kansas, our 670-acre station includes a research farm, laboratory facilities for plant genetics, pathogen, pest, and soils research, and two greenhouses. Our research staff has collaborative projects with 14 land-grant institutions throughout the United States, and also collaborates with over 20 international institutions on six continents.